Buying Sunglasses for Christmas. Tips, Styles, Designs, Prices. Glasses are fashion. They have to match a style of a person you present them to. To make it simple there are four styles: business, casual, sporty and “everything goes”. In this article we’ll concentrate on everything goes style. One of the most versatile styles for men is Aviators or any models that appear Aviator inspired. Go for models that look less sporty. Opt for gun metal and black frame as oppose to silver or gold that may also appear flashy. Many men Prada, Hugo Boss and Gucci models would be a great fit for any men. For ladies to pick timeless styles that she can wear with everything. Aviators for her will work as well as for him. Among more classic models would be simple rectangular or oval sunglasses. Avoid rhinestones and excess jewelry unless she is mad about it and you know it for sure. For ladies, you can try to match to her skin and hair color. If she is blond, stay away from black frames as they may look a bit harsh. If she has dark hair or skin she can wear anything. Generally most popular sunglasses colors are black, brown, tortoise and grey. Of course many designer models have some fun colors such as purple sunglasses, blue, pink etc, but for a gift try to stay away from extremes. Color goes with the frame shape, material and style and tends to change overall look of glasses dramatically. It should be easy to spot what lady likes. Look at her purse and her shoes. What brand she likes? Is it Gucci, Valentino, Dior? Not sure, check this article on matching brand name accessories. Otherwise, get her what she wears today. Remember, sunglasses are accessories, so they should either match other accessories or match the style of a person. If she wears a lot of gold, get her sunglasses with gold inserts. I wouldn’t still get entire gold frames, would try to get sunglasses that either have a logo or a small metal element on the front or temple of the color she wears most. For guys it’s more tricky as they are not big on other accessories. Maximum majority has is a watch and wallet. This only makes your life easier. Opt for premium name like Prada, Hugo Boss or Gucci and you won’t miss. Try to get styles that represent these brand names. Prada is big on a red stripe logo. Hugo Boss is very businessy and Gucci is often more casual and cool. If your man is quite luxurious Bvlgari and Tom Form make a perfect gift as these brands keep their cool by providing excellent quality and in the same time materialistic design. You go for these, he will have nothing to pick on. Keep in mind that each brand name may have a few items that are more expensive and a couple that is cheaper than others. Be decisive and chose something you really like. 20 dollars here there won’t make you rich, but may make all the difference in enjoyment of your purchase later. Can you believe Christmas is only 2 weeks away? We have created a fast ship category to help you narrow your choice based on how fast you can get your purchase in the mail, check our Christmas Sunglasses Deals category. Even with overnight courier service and glasses in stock, you should still plan for at least a week before Christmas. Consider customs and mail delays and also time you order. Clearly if you place an order in the morning you may save entire day in processing. Anything ordered after 4 EST will add a day to arrival times, especially on Fridays. This is not only us, this is everywhere. 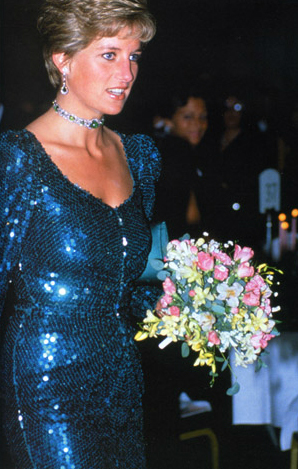 Well promoted auction of Princess Diana dresses is approaching its historic date. And well on time. Just last week Michael Jackson’s Thriller leather jacket sold for over $400,000. Diana’s dresses are expected to raise over $5 million in Toronto next week. 14 evening dresses come with a story and hallmark photos – all nostalgic and recognizable. The dance with Travolta is perhaps the most memorable. The auction will take place in Toronto on June 23, 2011 at Waddington’s Auction House on Bathurst & King St. According to the auction house appraisals dresses are estimated between $150,000 to $475,000. Experience shows that many times the estimated price is only to set approximate starting bid and most likely dresses will go for over $500,000 each. Diana sold her collection of dresses just two years before her tragic death to raise funds for her charitable foundation. In reaction to Diana’s death entrepreneur Maureen Rorech Dunkel has created a People’s Princess Charitable Foundation to carry on Diana’s mission. They were used in the Dresses for Humanity Exhibition tour that over the years circulated the world delivering an illustrative story of Diana’s life. Kensington Palace also borrowed the dresses to be displayed as part of its Royal Ceremonial Dress Collection where the Princess lived from 1981 to 1997. Dresses collection told a story of Diana’s journey as a “Peoples Princess” and described her personality and character to over a million of viewers who saw the exhibit. By looking at these particular 14 dresses one can draw a picture of Diana’s fun part of personality that was evolving over the time she was married to Prince Charles. From a 19 year old, newly wed princess Diana turned into an iconic figure of humanity in just one decade. Mrs. Dunkel purchased dresses with a charitable purpose and now after undergoing bankruptcy is in need to sell. Proceeds from sale will go Canada’s National Ballet School. Est. 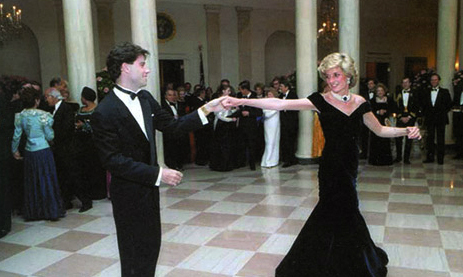 $800000 / 1000000 A famous Travolta Dance dress was worn in 1985 to a State Dinner at the White House hosted by President & Mrs. Reagan. Est. 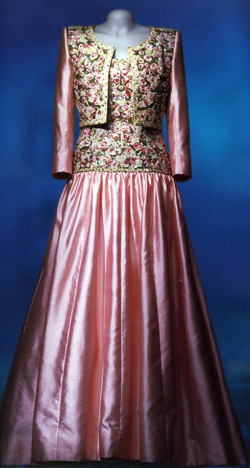 $225000 / 275000 Also, Diana wore this dress to pose for Vanity Fair magazine in 1997. Same dress was also worn to the Palace de Versailles for “La Deuxieme Nuit International de L’enfrance” organized by UNESCO, 1994. Est. 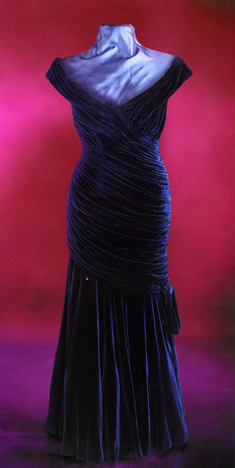 $375000 / 425000 Diana wore this dress to a trip to India in 1992. It possesses the cultural elements of Indian traditional gowns – jewels, silky fabric, long sleeves. Est. $250000 / 300000 This dress is known from a Vanity Fair magazine cover in 1997. It was originally designed by Catherine Walker for Diana’s attendance at a royal banquet for the King and Queen of Malaysia in 1993. 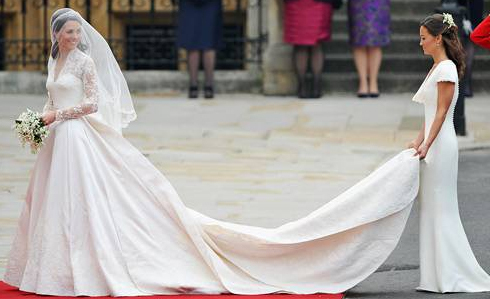 Following the event of the year The Royal Wedding has stirred some awesome buzz in the fashion industry. A few hours event has brought a number of trends that flew into a fashion world and will stay for a long time. By no doubt that dress was a sensation. Is it because of Alexadr McQueen brand? Probably not. I think no matter what Kate would have worn it would have been a sensation anyway. In fact, there was very little flavour of McQueen flamboyant style in that dress. But from political standpoint choosing a British designer, especially a woman designer (Sarah Burton), it was a calculated move. Style wise the dress followed quite popular in the last few years “A line” shape and lace. Ivanka’s Trump dress from last year, made by Vera Wang, was very similar to one of Kate. Lace sleeves and neckline has been a modern solution for brides that need to cover bear skin for religious, weather or simply preference purposes. This idea has been present in popular wedding dress designers Vivienne Westwood, Pronovias and Monique Lhuillier. Kate Middleton brought this idea to a different level and we will see much more of similar designs this and next year in action. Wearing a matching hat to official events is an old British tradition. While outfit generally stays modest, usually conserved in one color tone, the hat is the object of the wildest fashion ideas. According to our observation hat not always was following the outfit color scheme, fabric or style. It was made a center point of the outfit, and the dress itself was almost an accessory to the hat. Hat adds grandness and festivity to the overall look and no doubt it will become much more popular among young generations in the next coming years. British ladies are much keener on wearing skirts to work or casually as compared to American women who prefer pants. So it was no surprise that every woman with no exception appeared in a dress or a skirt suit to The Royal Wedding. We must note that preference was given to skirts above the knee. Pencil skirt with a matching jacket or a cardigan was often accompanied by pointy shoes on a short heel. Outfits of this style are classic and are widely available from many designers. We expect to see more options in stores as a result of this wedding. Cardigan paired with a set of gloves and a matching skirt is a very elegant solution for ladies that want to appear more formal. In the last few years cardigan has been trending as a coat dress and attempted to enter the mainstream through such manufacturers as Laura, Bedo, Save The Queen and others. Alternatively a dressy cardigan can be worn with a pair of jeans or pants adding elegance to your more casual style for every day outings. Many men chose penguin style jacket as oppose to short tuxedo. Notably pants often didn’t match the color of the jacket and went as a set with a vest. In some cases all three pieces vest, pants and jacket were of a different color tone with bright tie that gave an outfit less formality. Many British men of a Royal class wore military uniform which to my opinion was the most fun to watch. The Royal Wedding is one of the few occasions when British men are allowed to put on a Full Dress – the most elaborate order worn by members of British Army. Medals, golden tassels, army bands and a civilian mounted sword were present on outfits of Prince William, Prince Charles, members of the Royal Family and many other local guests. Cute little boys were also wearing replicas of military attire to match the ones of their fathers. We expect that elements of Full Dress military style may turn into a trend for wedding suits in North America following the Royal Wedding. Unfortunately sunglasses were not trending during the Royal Wedding. I expected to see at least somebody, but a bit cloudy weather in the morning was not giving enough reason for guests to put on this beautiful accessory. If you find a photo with someone wearing a pair, please let me know. Every year we watch Haute Couture collections and analyze them to catch current trends. Collections are presented in Milan, Paris, New York each season and are followed by extensive media coverage in Vogue, Elle, Cosmopolitan and countless other magazines and TV programs. This year is no exception. We covered noticeable eyewear trends earlier giving you snapshot on both glasses and sunglasses styles for 2011. But this year has also brought styles that stand above general trends. Here we present the most flamboyant, glamorous and beautiful glasses that are commercially available today. While completely wearable some will find them a bit too crazy. You either love them or hate them. But love alone is not enough. Question is “Are you daring to wear them?”. Prada PR 05NS This mean looking frame is a first mover, “matrix” inspired style. It follows the general trend of raised eyebrow line, however is the only one of its kind among lead brand names. It’s the only cat eye shaped frame that is narrow. Minimalistic decor on the temple is thought through to fit both ladies and men. Dior Panther 1 These Dior sunglasses are made special because of the combination of cat eye shape and animal print that reinforces the wild feel. One can almost say “Rrrrrr” when putting them on. Dior Striking Another Dior with a name that speaks for itself – Striking. Yes, this “space craft” inspired sunglasses it is not only striking but also shocking and especially creative. It follows the trend of minimalism and will fit both men and ladies. Roberto Cavalli RC587 Snake has been a signature decoration on Roberto Cavalli glasses for a few years now. Ladies love it, men hate it. But these sunglasses got their snake to be especially huge. Extravagant color choices add viciousness to the style. John Galliano JG00010 John Galliano made a debut in releasing a collection of sunglasses last year. Many models are made above and beyond what is considered “ready to wear” by mainstream public. Many sunglasses have exaggerated something. It could be oversized shape, absolutely crazy color combinations or shapes. But this what made his sunglasses look a true fashion accessory. They are made to decorate your face. Oakley Jawbone Oakley glasses deserve a place in this post. They create and follow their own trends, turning many models into classics. They are not in fashion business; they are in high quality sunglasses business. If you are looking for a glamor while you bike, skateboard or run, Oakley sunglasses will rock. Jawbone frame comes with two sets of lenses giving your more options to transition your look from striking to very striking. Following our post on eyeglasses for your wedding, we are continuing the topic with sunglasses. Now when sun is coming to its full effect, having a descent pair of sunglasses is a must. If you are planning a big day, you should also be putting “getting sunglasses” on your to do list. 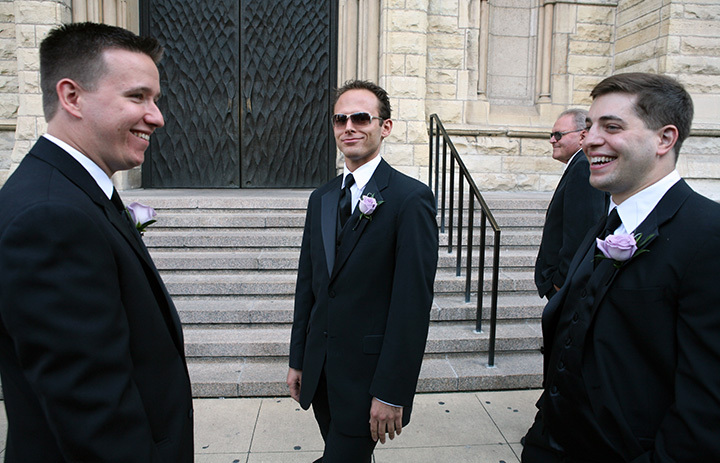 If you live in Chicago, we are very pleased to recommend you a great wedding photographer Doug McGoldrick. Check his portfolio website to see wonderful moments of many weddings he worked on. He also has a very informative blog dedicated to wedding tips and ideas – a must read for all brides and grooms seeking tips on photography, event vendors and even tips on family affairs surrounding your big day. Doug and I will tell you that location and format of your event will drive many vendor decisions for your wedding. Location will also be a driving factor in choosing the style of your sunglasses. Nowadays more people opt in to do a destination wedding or a theme wedding as alternative to a local lavish format. Destination and theme require less formal attire, thus sunglasses should follow the overall style of the event. Formal format will require a more conservative style and color for your sunglasses. If you plan to hold a ceremony on a yacht wearing swim trunks or somewhere on a hill overlooking the volcano, sport glasses are among first to consider. Not only they are made to stick to your face in active movement or strong wind, they are also very comfortable. Some premium brands have a series of sport sunglasses such as Prada Sport and Oakley. Among their collections you will find models that are still elegant and dressy and could be a great choice for the wedding. We already talked that relying on contact lenses on your wedding day is not a good idea. It may happen so that your eyes are too tired from a sleepless night before or you can experience excessive tearing. If your distance vision is bad, consider getting prescription sunglasses. Prescription sunglasses should be small enough to fit the thick lenses and cannot be curved or shield shaped. Look for a full frame and avoid bear lens on the sides. While keeping this in mind you have a very broad selection among rectangular and oval shapes. If your dress is couture why not matching it with sunglasses that are as glamorous. A number of brand names specialize on such styles. Among them is Roberto Cavalli, John Galliano, Bvlgari. Other brand names such as Gucci, Dior, Tiffany and others have nice selection covering all levels of glamour to fit your taste. Go for oversized round or square to complete your model look. Wedding is a traditional event for many people. If you are trying to minimize attention to yourself and prefer simple elegant style, classic designs will be your best bet. Look for models that have little decoration on the temples and less pronounced logo. Avoid extreme black lenses and extreme shapes. Don’t worry, classic styles make a big part of premium brands collections – Gucci, Dior, Hugo Boss and Tom Ford. Polarized sunglasses lenses that cut off horizontal reflection. They are ideal for on-the-water events because water surface reflects sun and may cause excessive squinting. This being said, polarized lenses act as regular sun lenses on regular surfaces. You won’t see any difference wearing them in the park or on the street. In fact, a small distraction could be due to “rainbow” side effect when looking through the side of the glasses. Also, for the wedding, keep in mind that polarized lenses tend to be quite dark. When choosing frames for your wedding day beware of their weight. Very heavy frames will cause red markings on your nose and look funny when you take them off for pictures. Metal frames have this side effect more frequently than plastic due to all weight being concentrated on the small nose pads. We will also note, that size of frame matters, but not as much as frame design itself. Some oversized frames are very light and small oval or rectangular shapes can be very heavy. So, look for sunglasses that have thin frame and not too much solid metal decoration on the temples. Finding a right pair can take several weeks. If you are filling prescription into your sunglasses, budget for another month to make sure you have enough time for redoes and lab losses that happen rarely but usually in the most critical moment. Also, if you want to save money and buy sunglasses online, plan for another two weeks for shipping and order filling. All together you should give yourself at least two months to get right glasses for your wedding. While surprisingly not a common topic in wedding event planning books, getting right glasses and sunglasses should be on your prep list if you are organizing an event of your life. Your and your partners’ faces will be forever captured in photos and your guest memories. You are spending tens of thousands of dollars on the event. Do yourself a favour – get a right pair of glasses. Depending on where you are spending most of your day – inside or outside, you may even need both glasses and sunglasses. In this article we will cover prescription glasses styles to fit your needs and will be getting into sunglasses in the next post. So why do you need glasses? You may say, well I am coved, I’ve got contact lenses. Even if you are wearing contacts every day, getting a pair of glasses is still a good idea. Expect the unexpected. Wind may blow and cause excessive tearing that may wash off your lenses. You may even drop your own, natural tear during the ceremony or speeches. You may have a sleepless night before the big day and wake up to irritated eyes. Whether your plan on sticking to contacts or not, you should still have a decent pair of glasses. Ok, what about styles? A number of factors may help you decide on a right type of frame. This could be great if you normally don’t wear glasses. Rimless glasses are least noticeable on your face and won’t strike your partner or guest as a change on the day of event. They look very clean and dressy even with minimal decor. You can make a step further and get rimless frame with temples decorated with crystals or rein stones to go with your necklace and earrings. This will add richness to your overall look. Semi-rimless glasses make a great option if you need progressive lenses. During the day you will be looking different distances: far away into the crowd, close to you on your significant half and very close to read a bible or a speech. If you have trouble with both reading and distance vision, consider getting progressive lenses. This way not only you wouldn’t need to handle two pairs of glasses, but also look consistent on pictures. Ultimately you don’t want too much attention on your glasses so, having a one descent pair should be enough. This said, if your vision is very bad, we would recommend having a back-up pair, but this is a different subject. Rimless frames are also very suitable for progressive, but if you are not a fan of rimless, semi-rimless is a great alternative. These types of frames will let express your personal style in the best possible way. If you are young and trendy, geeky plastic frames will add charm, especially if you are a guy. Full rim frames look heavier on the face, but show more color and design. If you are used to wearing those and people are used to seeing you in them, by all means go for a similar full rim frame. You can also have some fun choosing a frame from the same brand as your suit or jewellery to match. Metal glasses are a great option if you want to experiment with color. More color combinations and temple designs are available in metal than in plastic. Also, if you like gold or silver metal is very suitable. In addition, metal frames have that perfect balance between disappearing rimless and bulky plastic full rim. – Don’t get transition lenses. While it may sound like a great idea since transition lenses will darken on the sun and function as a sunglasses outside, they won’t look good on pictures. They will darken as long as they are exposed to the UV even when it’s cloudy . Also, prescription frames with dark lenses tend to look old fashion, this is how sunglasses looked 20 years ago. – Don’t save on coatings. When filling your frames with lenses, make sure you request anti-glair coating. Otherwise glasses will reflect flash from camera and some pictures turn out bad. – Don’t delay. Remember, just finding and buying a right frame may take a few weeks. It may take another few weeks to get prescription filled. Sometimes there are delays at the lab or lenses need to be redone. Budget at least two months for getting a right pair of glasses worry-free. Congratulations on your occasion. We are glad to offer you a great selection of brand name glasses frames. Search our website for glasses by material, shape, type of frame and brand. Stay tuned for next articles.